Lets just say this was my first attempt to snap some pictures during the so called “golden hour” of photography, and I wouldn’t say it was as glamorous as I was expecting. I don’t think this bright orange top helped, but the lighting and shadows in these photos turned out pretty crazy..forgive me, practice makes perfect! Now I haven’t worn this bubble necklace in easily a year and a half because they were so overdone, but it’s exactly what this outfit needed! 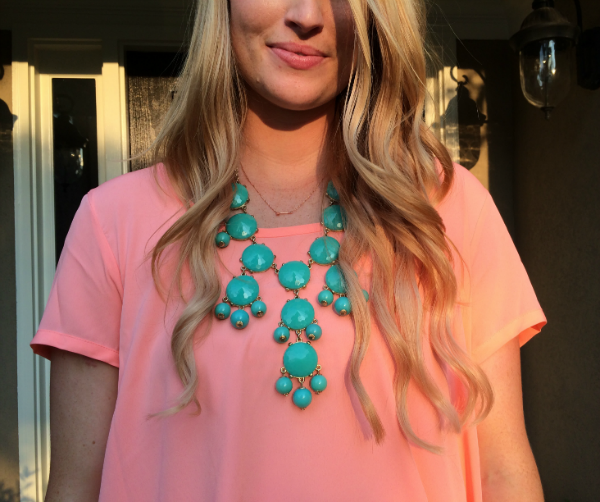 I love a good peach and turquoise combo, and I’m happy I never got rid of it. I’m also wearing a little rose gold arrow necklace I found at the Atlanta Mart, but in the widget below is a gold version that I love! I love that top! Such a pretty color on you! wow you are so pretty. 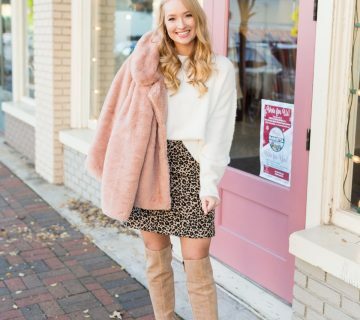 love this outfit and your style! also the sunlight is very nice in these pictures. Aw :3 You look gorgeous!! Love the top so much!! Very cute! Love the colors together! golden hour is the best time to shoot! lovely photos! Love this! 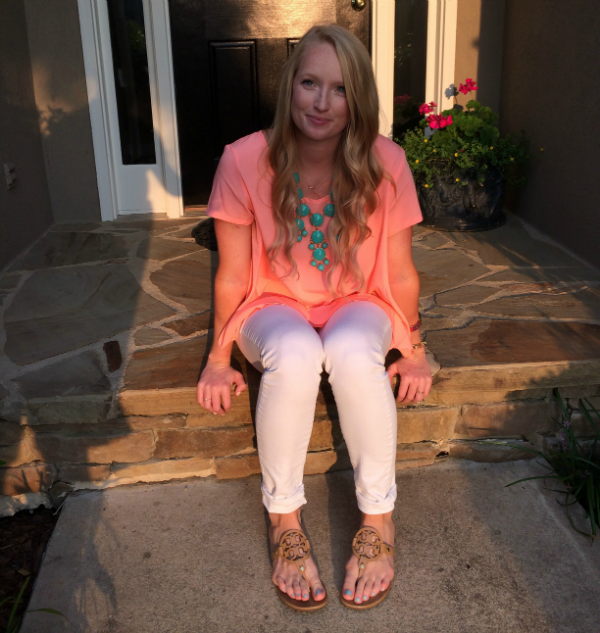 I'm wanting a pair of those Tory sandals — and how cute is that necklace?! 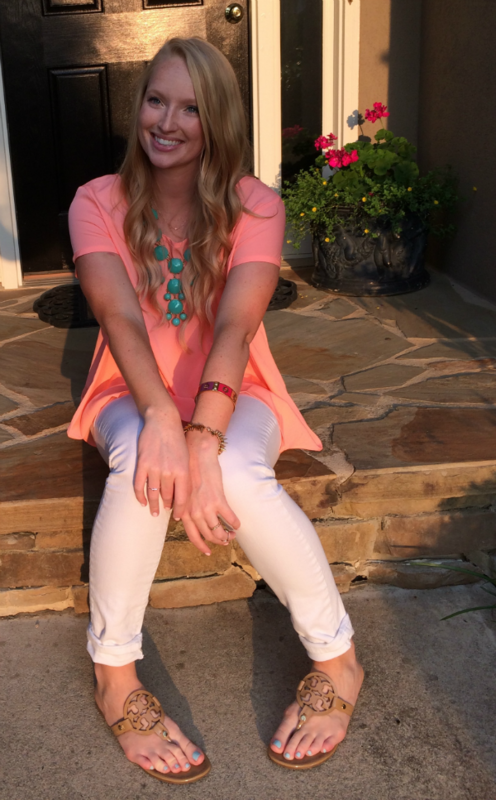 Love the color combination in this outfit, the necklace is so pretty! loving this color combo together! 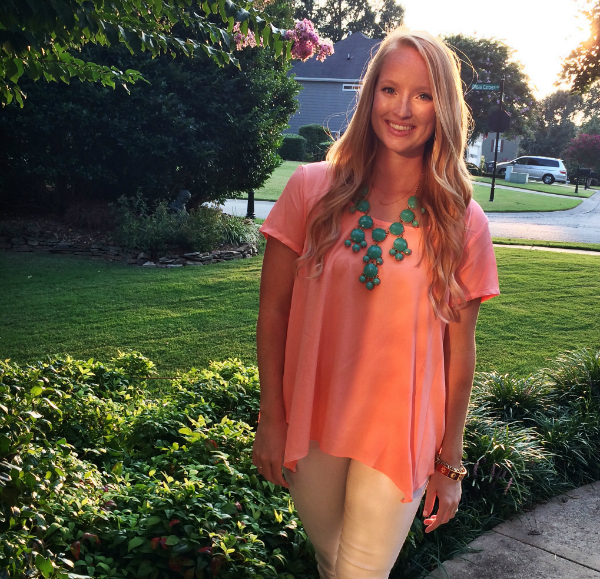 such a cute blouse! great look! Obsessed with the color combo! So fun. Such a great color combo! Especially for summer! Your pictures turned out beautiful! Your pictures are still great! 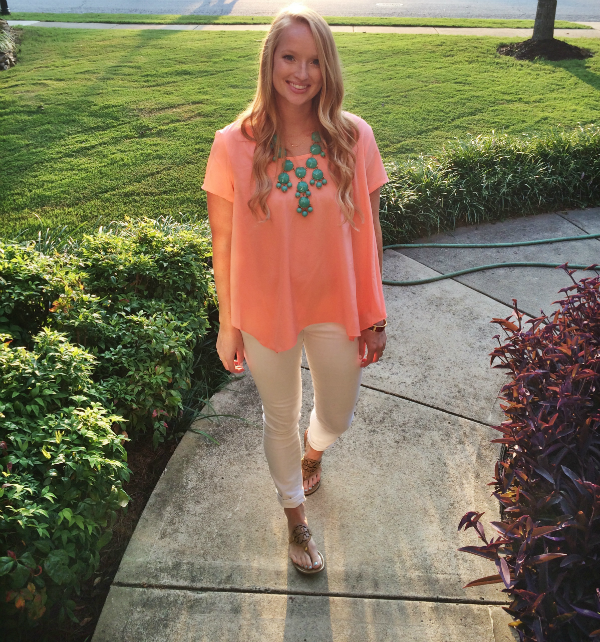 You look beautiful in peach, and I love it with the turquoise necklace! What a great look and fun pairing I love everything about this you look great! 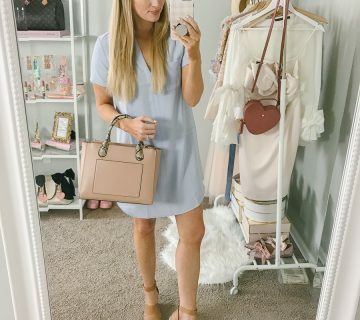 I just started following you on bloglovin and would love it if you could follow me as well. You are precious and pink in definitely YOUR color, girlfriend. And my obsession for that necklace is too much to handle! 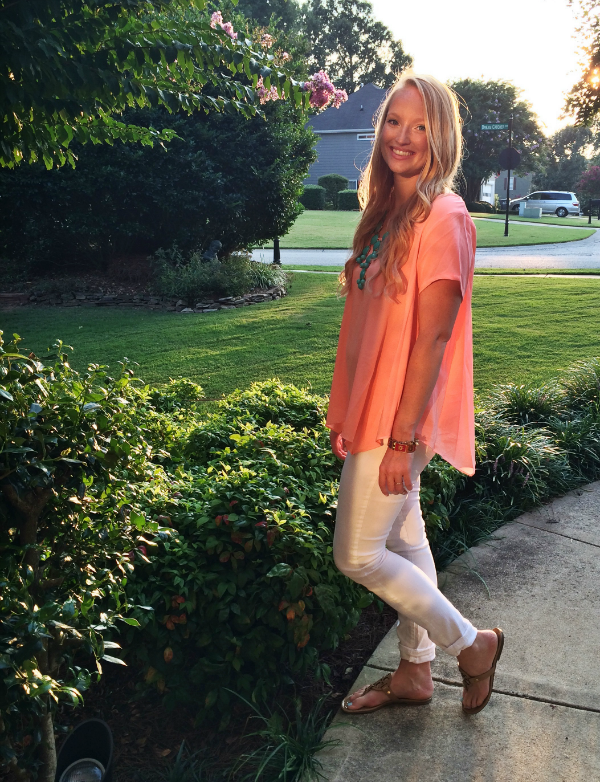 I love the combo of peach and teal on you! You look darling!